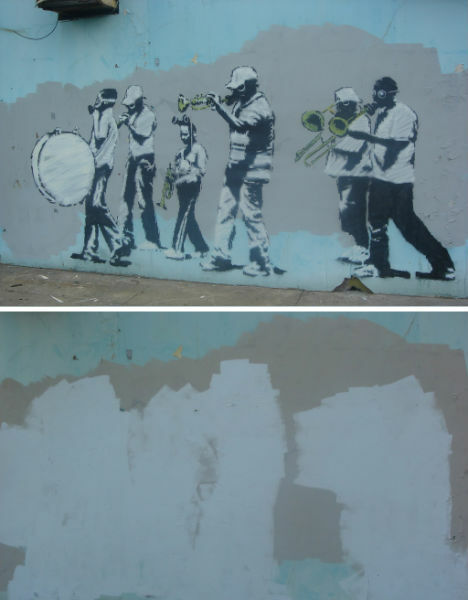 When Banksy visited New Orleans in 2008, the renowned graffiti artist wasn’t just leaving behind his particular brand of social and political commentary on Hurricane Katrina and its effects on New Orleans culture – he was coming to do battle with the Gray Ghost. Two years later, only a single Banksy work has escaped the gray paint roller, and only because it’s behind plexiglass. Fred Radtke made it his mission to erase every bit of graffiti in the city long before Banksy’s arrival, sweeping down the street with his paint roller in hand. The anti-street-art crusader passed quietly through each neighborhood, obliterating all traces of spray paint with his own signature splotches of gray – hence his nickname. Some locals celebrated his dedication to keeping New Orleans clean, while others decried his assault against free expression. 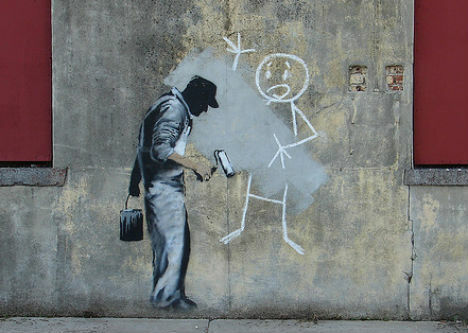 The Gray Ghost himself became the subject of some of Banksy’s New Orleans work, depicted as a bent figure blotting out color on the city’s walls. Where Banksy painted over huge swaths of Radtke’s gray paint, Radtke came back and painted over many of Banksy’s works of art (captured on video in one case) – without the permission of the property owners. 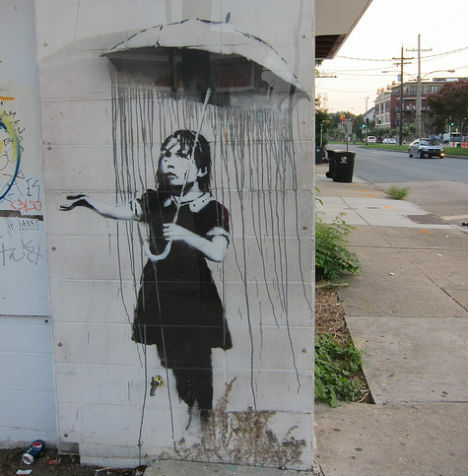 Each Banksy reportedly increased the value of the building it adorned by $75,000 – $200,000. 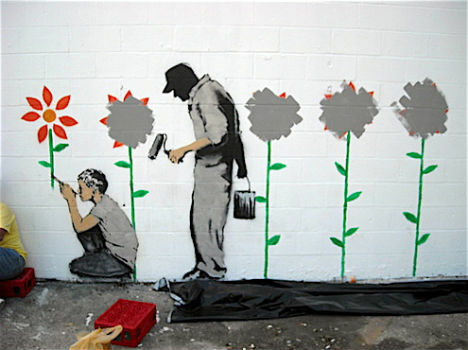 Not all of the Banksy obliteration came courtesy of the Gray Ghost. 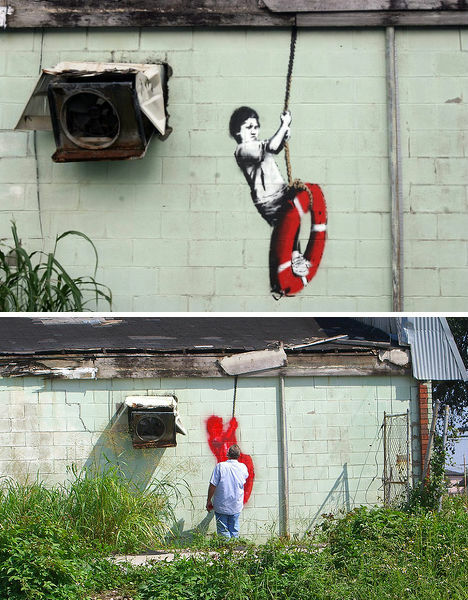 A man was actually photographed in the process of painting over ‘Boy on Life Preserver’. But regardless of who covered them, it seems that they’re all gone but ‘Rain Girl’, thanks to its protective plexiglass.